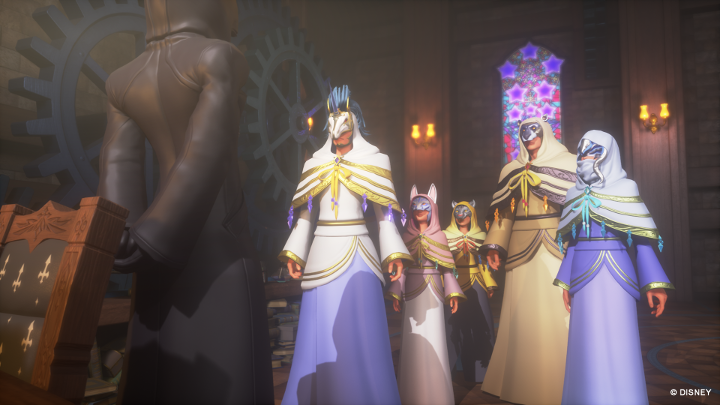 With just under 20 days until Kingdom Hearts HD II.8 Final Chapter Prologue launches in North America, Europe, and more locations, reviews for the game have started to come out of the woodwork. The first review is by Gameinformer, who gave the game an 8.5 out of 10 citing solid voice perfomance, crisp visuals with detailed environments, and the smoothest controls in the series. In Dream Drop Distance, critical mode had to be unlocked by beating the game once. From there you could restart the game, carrying over your Dream Eaters into critical mode. It seems the same applies for Kingdom Hearts 0.2 Birth by Sleep -A Fragmentary Passage-, which will add to the replayability of the short title. It's also worth noting that fans who only want Kingdom Hearts 3 might need to tune into 0.2 for reasons other than it's the prologue to the game. Gameinformer reports that the end of 0.2 contains a lengthy cutscene that propels the story forwards as the characters embark on their next journey. For Kingdom Hearts χ [chi] Back Cover, Gameinformer said that it featured the best visuals compared to Kingdom Hearts 358/2 Days and Kingdom Hearts Re:coded in Kingdom Hearts HD 1.5 ReMIX and Kingdom Hearts HD 2.5 ReMIX respectively whereas Dream Drop Distance runs smoother than it's original version and the touchpad on the PlayStation 4 controlers works similarly to how the touchscreen was used on 3DS. Kingdom Hearts HD II.8 Final Chapter Prologue launches January 12th 2017 in Japan and January 24th 2017 everywhere else on Playstation 4. Huh, Game Informer giving something that's not COD or the usual bias? I have a lot of issues, was it January 2017. Can we get a link to the gameinformer reviews? Unfortunately the review is only available in the magazine at the moment. If you can find a copy or subscribe to Gameinformer's magazine then you can see the review, otherwise you will have to wait until they put it online. Man, I was really hoping Critical Mode would be available at the start. But now it's like that in 0.2 as well? Is this going to happen in KHIIIâ€‹ as well? Just a note: we will not post scans and if any of you post scans, we have to delete them. Unlocking Critical Mode sounds like it'll add some replayability for 0.2. I can't wait to see the ending scene in 0.2. Does the review mention roughly how long 0.2 is? 3-4 hours, same as what the Famitsu review said. I'm actually shocked to see a decent review from Game Informer. With that being said, I am curious as to how the final scene plays out in 0.2. Also happy to see a better reaction for DDD this go round. So hyped to see the ending of 0.2. The lore and cutscenes are what I'm most looking forward to, so hearing that there's going to be a lengthy cutscene gets me very very excited. Can't wait for this game to release! I'm used to starting KH games on Critical so this kinda bothers me. It already bothered me in 3D but I guess since 0.2 is only 3-4 hours long it's okay. Had a good laugh about the smoothest controls. Unles that didn't change drastically from the Gamescom build, that line has to be a joke. 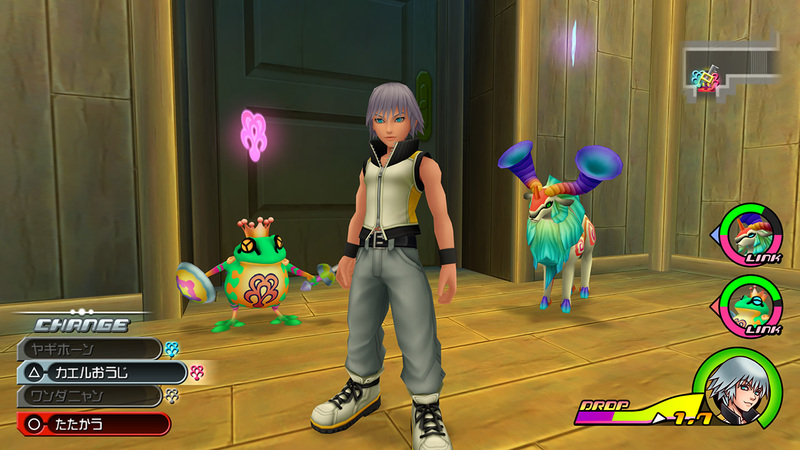 The game didn't feel chunky, but its smoothness was nothing compared to KH2. I typically enjoy Gameinformer's reviews, and this seems to be a fair score. I'm totally cool with Critical being an unlockable difficulty, and I almost expected it. That's how it has been for the series aside from the remasters, so I totally understand why they did it here as well. There are so many games out there that don't offer the hardest difficulty until you beat the game for the first time, so I'm certainly game. I planned on doing numerous playthroughs anyway, so this'll do just fine. I'm totally cool with Critical being an unlockable difficulty, and I almost expected it. That's how it has been for the series aside from the remasters, so I totally understand why they did it here as well. DDD is the first time Critical has had to be unlocked. It was open from the beginning in KHIIFM, BbS, and BbSFM in their original releases, and Re:coded. In KH1 Expert was open from start, and Proud in KHFM. Re:CoM has Proud open at start. Days as well. There was no precedent for unlockable difficulties prior to DDD. I appreciate you double-checked me, my mistake! You're right on this one, but regardless, it is a trend typically seen in many other games, and provides an incentive to replay it again. 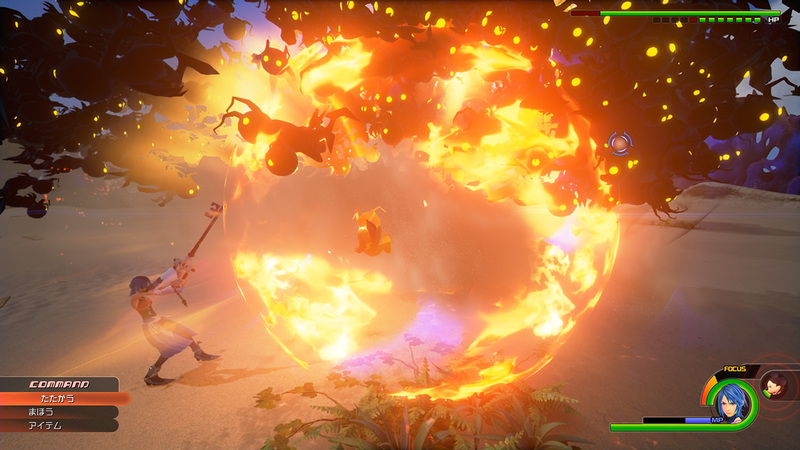 I'd imagine this is the trend going forward with all KH games then, including 3. Man, 8.5 out of 10. I'm okay with Critical Mode being unlockable tbh. Wanna experience the game first. I can tell obviously that lenthy cutscene is going to be pretty important. I thank Gameinformer for reviewing the game. Now I'm more excited for it.